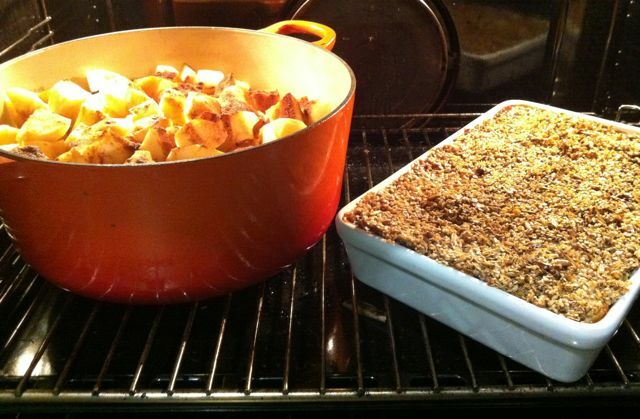 Home-made Apple Crumble: the next-best thing to running! 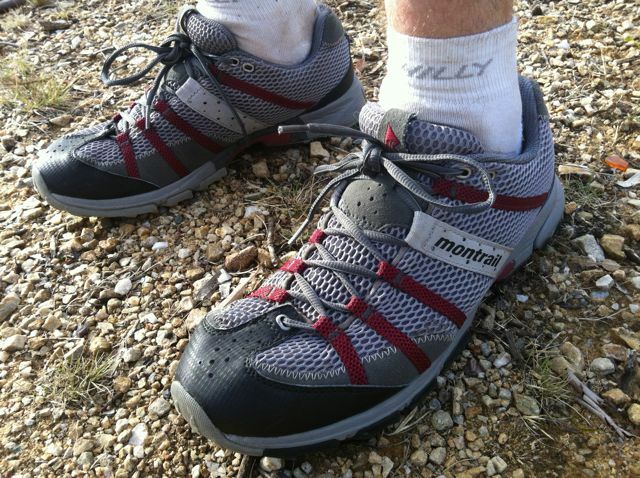 After smashing my left foot off a large rock a month ago, running in my Montrails has felt like running barefoot… in a bad way. With a 60km race planned for the weekend and every run making my left foot throb for days afterwards, I decided to visit a podiatrist. When I mentioned running 60km, she placed one hand across her face and gave a whimper. Although she didn’t explicitly say not to do the run, the meaning of the hand was obvious. The sensible voice in my head kept telling me I shouldn’t run. Then my girlfriend started repeating the same phrase, which made me wonder if she could hear the voice in my head. This led to a tense situation, where I was able to take up both sides of the argument inside my own head, and argue against doing the run on both physical and mental health grounds. So ends a week of little running and much cabin fever. I ran vicariously through my friends’ Facebook updates. Instead of running 60km, I did a few hours on the Versaclimber with a rucksack. Then I made apple crumble using apples picked from my housemate’s orchard. Okay, homemade apple crumble, now you’re speaking my language…ha! That looks delicious. And I’m glad you opted out of the 60 km run – I’m sure you’ll be able to do one again soon, without such pain! Great blog! I hope your foot recovers soon, it would be good to have a run with you before Yurrebilla day!